How Anjani Became The Mother of Hanuman? Anjani, mother of Hanuman, performed intense austerity to get a powerful son. She had to undergo numerous trials before she gave birth to Hanuman, an amsha avatar of Shiva. Anjani and Kesari were married for a long time. However, they did not have any children. Anjani then visited the ashram of Sage Matangi. Here the sage advised her to undertake a severe penance for giving birth to a powerful child. Matangi Rishi asked Anjani to go to Narayan Mountain located near Narasimha Ashram on the banks of Pampa in South India. Here she was asked to perform intense Tapas for 12 years to propitiate Shiva by sustaining only on Vayu (air). At the end of 12 years, impressed by her perseverance, determination and devotion, Shiva asked Vayu to deposit Shiva Anu (atom of Shiva) in the womb of Anjana. 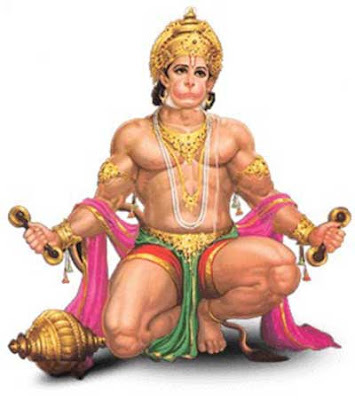 As a result of it was born Hanuman.